The cosmetic business is one of the industrial sectors of greatest boom in recent times. 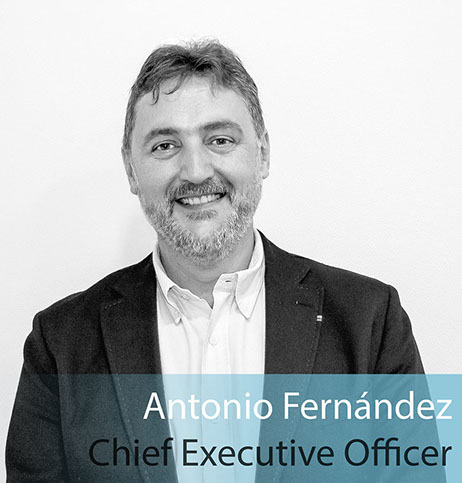 Cosmetic sales are expected to reach 430.000 million dollars in 2022.We are talking about a market with a high level of diversification which products are increasingly presents in our everyday life. In a highly competitive sector such as this, where innovative products have a very limited lifetime, companies must have a constant innovation capacity. Companies in this sector have focused their innovation resources mostly towards the introduction of natural origin compounds, as it involves an added value in research, effectiveness and environmental awareness. So far the search for natural components with specific activities has been focused in the use of plant extracts, as for instance the renowned polyphenols as ultraviolet protectors. Lately, companies in the sector have started to discover the potential of marine organisms, such as hydrating, antioxidant or anti-aging activities found in some algae. Oceans are one of the largest reserves of organisms on our planet, where numerous and diverse ecosystems coexist, mostly still unexplored. It is evident, therefore, their great potential for the discovery of new products useful for any biotechnological application. Microorganisms are part of every ecosystem on our planet, over the twentieth century they were the main source of current drugs. Due to the emergence of resistance and also to the need of new drugs, companies are exploring new research alternatives such as oceans and their organisms (macro and micro). Krill oil, rich in omega fatty acids 3, is one of the latest examples of successful findings within marine life. Nowadays, marine microorganisms are being used as cosmetic ingredients, for instance our collaborator, Lipotec, uses bacterial exopolysaccharides that stimulate the skin´s hyaluronic acid production in some of their products namely, Hyadisine or Hyanify. LMVH (Louis Vuitton Möet Hennessy) or Daniel Jouvance have also introduced marine microorganisms, specifically microalgae, as antioxidant and anti-aging ingredients in some of their commodities. Fungi are also being exploited as UV protectors beacuse of their hability to synthesize polyphenols and as mosturizing agents, due to the properties of their membrane polysaccharides. Companies like La Roche, Bliss or Nu-Derm are already commercializing articles based on their properties. Actinomycetes show also a great potential in this sector. They are being used to find new molecules with moisturizing and antioxidant activities, although most of them are still in laboratory trials. Microorganisms have advantages over other raw materials: ease of handling and cultivation, ease of scaling up to large volumes, contained production under controlled environment not dependent of environmental conditions, unlike plants. Furthermore, microorganisms grow faster than plants, and therefore large biomass quantities may be obtained within a relatively short timeframe. Another advantage to take into account is the possibility of obtaining genes or complete metabolic pathways of organisms hard to culture, but with very interesting properties. We can introduce these genes into more controllable organisms (Escherichia coli, Yarrowia lipolytica, Saccharomyces cerevisiae, Chlorella vulgaris, and some others) to produce and purify the compounds of interest. 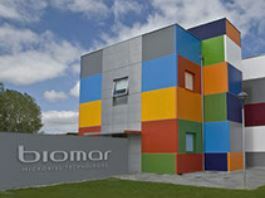 Our company, Biomar Microbial Technologies, has dedicated more than 20 years to the isolation and cultivation of marine microorganisms as our main activity, applying these microorganisms or their extracts to the production of molecules with different activities: antitumor, antifungal, antibacterial, antioxidant, anti-aging among others. Our AQUAs library counts for more than 70,000 strains isolated from more than 8000 marine samples collected in more than 100 bioprospections carried out worldwide. AQUAs contains Actinobacteriae (53%), Fungi (43%) and Microalgae (4%). 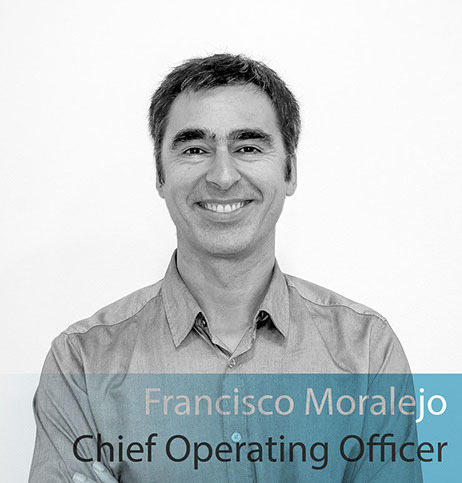 We select, through the development of different screening processes, the most promising microorganisms and extracts, identifying the molecules responsible for the activity. Anti-acne: currently in the market, we have developed, in collaboration with the company Infinitec, an anti-acne product (Marine C thiopeptide), currently in the commercialization phase. Antioxidants and Anti-wrinkle: we have ongoing assays for the selection of extracts with antioxidant and anti-wrinkle capacity. Anti-dandruff: We developed a project for the selection of extracts and compounds with anti-dandruff activity, identifying an interesting extract. We are currently exploring collaboration possibilities to continue the development of the product. Other Ingredients: we work in collaboration with Lipotec Activos in the discovery of novel ingredients for cosmetics. We have also found in our libraries compounds with excellent profile as whitening agents. The constantly growing demand of new quality Cosmetic ingredients, makes our libraries interesting sources of sustainable natural active principles. AQUAs collection is dynamic and grows every year since we have a constant bioprospecting program, always complying the legal framework proposed by the Nagoya Protocol. Biomar Microbial Technologies totally endorses the goal of sharing benefits with the resource origin countries. L. Mourelle, C. P. Gómez and J. L. Legido. “The Potential Use of Marine Microalgae and Cyanobacteria in Cosmetics and Thalassotherapy”. Cosmetics (2017), vol. 4, issue 46. E.G. Brunt, J.G. Burgess. 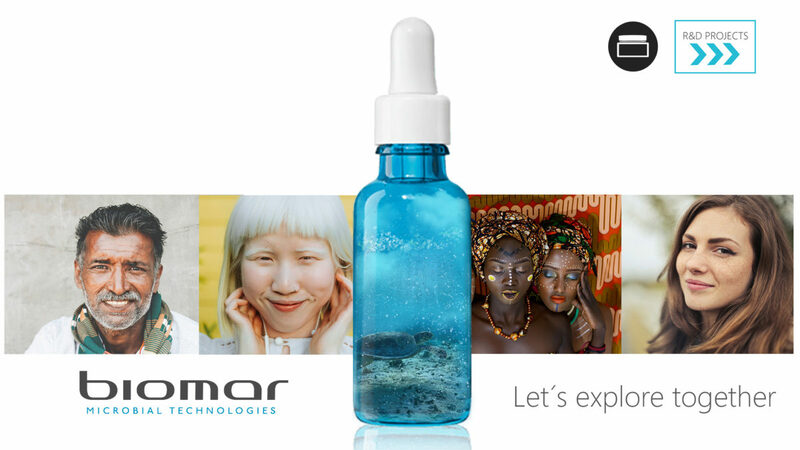 “The promise of marine molecules as cosmetic active ingredients”. International journal of Cosmetics (2018) vol. 40, issue 1, pag. : 1-15. S.E. Stewart, M.D. Parker, A. Amézquita, T.L. Pitt. “Microbiological risk assessment for personal care products”. International journal of Cosmetics (2016) vol. 38, issue 6, pag. : 634-645. Wu, M.H. Choi, J. Li, H. Yang, H.J. Shin. “Mushroom cosmetics: The present and future”. Cosmetics (2016), vol. 3, issue 22. R.H. Dahal, D.S. Shim, J. Kim. “Development of actinobacterial resources for functional cosmetics” Journal of Cosmetics Dermatology (2016), vol. 16, issue 2, pag: 243-252. Sign up to get receive all our latest novelties instantaneously.